We are excited to introduce our new service, Reputation Marketing and Management. Not only can we build and manage a 5 star reputation for you, we also use our tools and resources to market and leverage your reputation to get more customers. But why should you pay any attention to this…..
Because – you are only one customer away from a bad reputation! In today’s business world – Online Reputation Means Everything, and more importantly knowing how to market that reputation can result in significant additional business! In this ever evolving internet world, it is no longer enough to establish your Internet presence, you also have to manage it and you MUST protect your reputation. Why is online reputation management so important to your business? Have you noticed how the internet has turned everyone into a critic? Many business owners are surprised to discover that they have negative reviews online, the problem is that bad reviews can be very damaging for them and they have no idea how to deal with it or how to leverage and market their good reviews and reputation. On the face of it there is nothing wrong with people commenting on their experiences with a business, but if you were to take a moment to read some of the reviews it can often be an unpleasant surprise to find that good, honest businesses can have unjust, personal and even false comments and reviews left online. Unfortunately most businesses affected by this are blissfully unaware or have no way to defend their reputation. Post your reviews to the top sites Google, Yelp, Insider Pages etc. reviews for company and brand information. 67% of consumers read online reviews for local businesses! 58% said positive customer reviews made them trust a local business more! 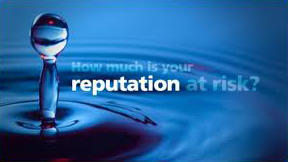 Regardless of the size and scope of your business, you simply cannot ignore what consumers are saying about you. It doesn’t matter if you’re at the top of the search results, if the reviews are not complimentary to your business, you are missing out to competitors! Consider this – no reviews is as bad as negative reviews, you must have good online reviews! 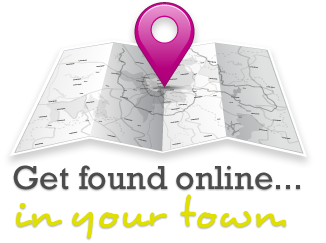 Try searching for your business online. Also, search for your brand, product, and/or service. Considering the statistics above, now put yourself in a potential customer’s shoes. Do you like what you see? Is your web presence positive? Do you stand out in the crowd? Most importantly, would you choose your business over the competition, based on what you see? If the answer to any of those questions is no, then you need to pay some serious attention to managing your online reputation. The Development of your Online Reputation. Your business WILL have an online reputation, whether or not you choose to manage it. The fact of the matter is this: if you do not choose to manage your online reputation, you can be sure that the public will. Some of that may be good, and some of it may be bad. Do you really want to leave such a major determining factor of your business’ success (or lack thereof) in other peoples’ hands? If you are not currently proactively managing your business online reputation, then you need to start – as soon as possible. If you don’t have the energy, time or know-how to manage your online reputation effectively, you could be missing out on a huge opportunity. You don’t have to take on this task yourself, you could put your online reputation in our competent hands. We want to build a 5 Star Reputation for you!